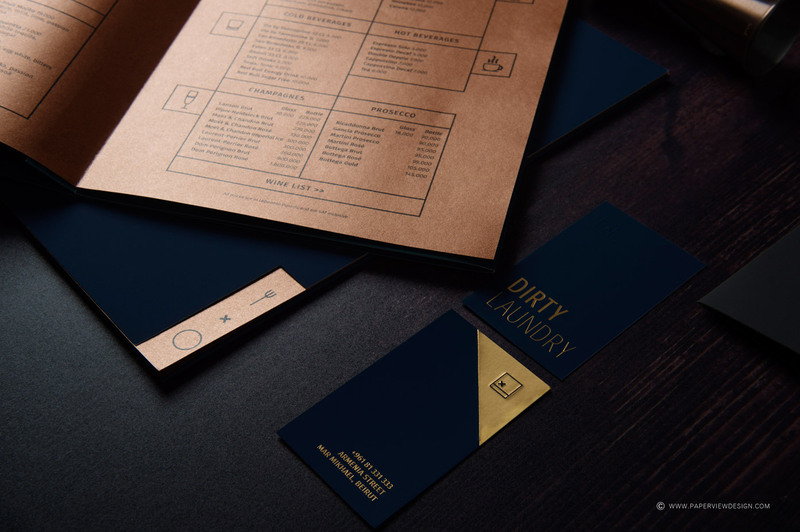 Dirty Laundry branding by PaperView. 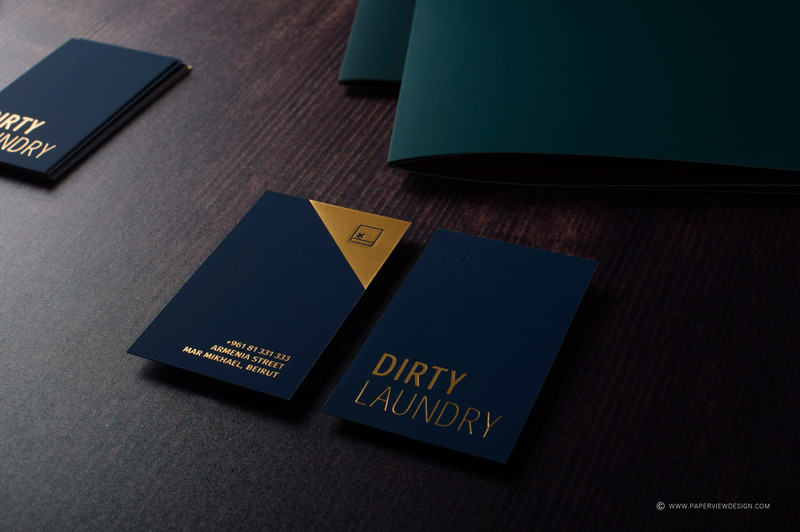 Art direction, graphic design, and brand development by studio PaperView for Dirty Laundry. 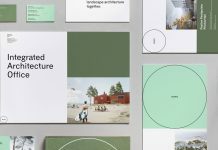 PaperView is a branding and design studio that produces visually distinctive work for regional and international clients. 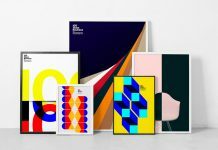 From their offices in the two most vibrant cities in the region (Beirut and Dubai), their specialized creatives and planners have given birth to some of the most renowned identities in the market today. 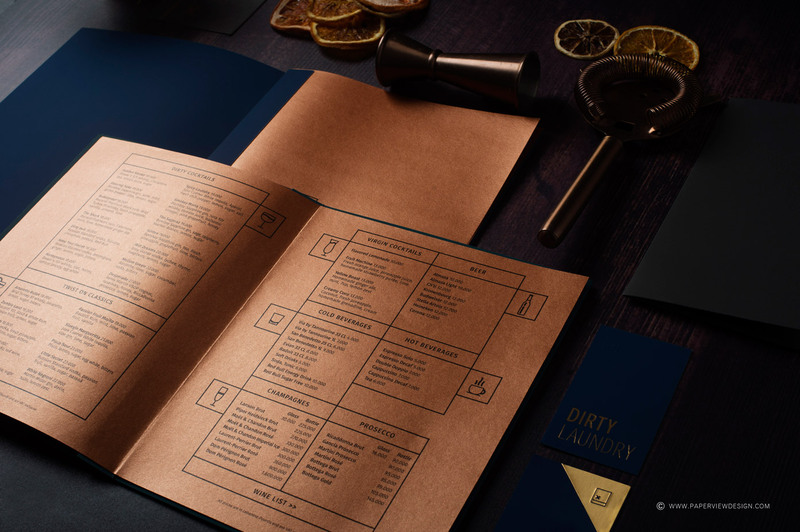 Their creative team as recently asked to produce a distinctive visual identity for a bar named ‘Dirty Laundry’. Read more below. 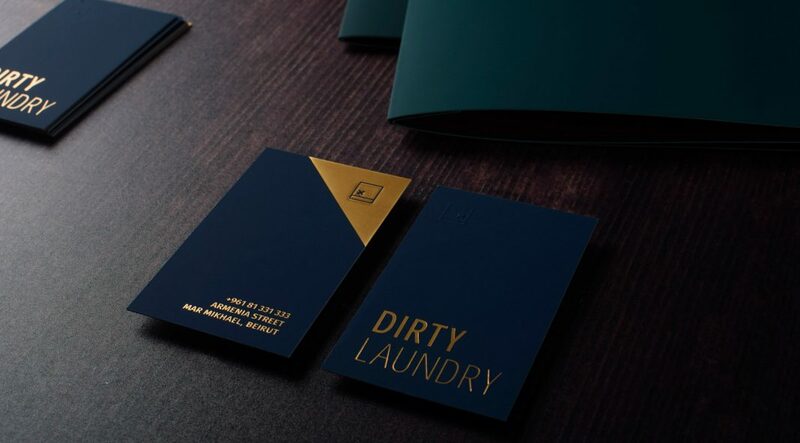 Dirty Laundry, kitchen and bar, seals within its dirty secrets. The hidden elements provoke mysteriousness. The brand identity gradually reveals itself. 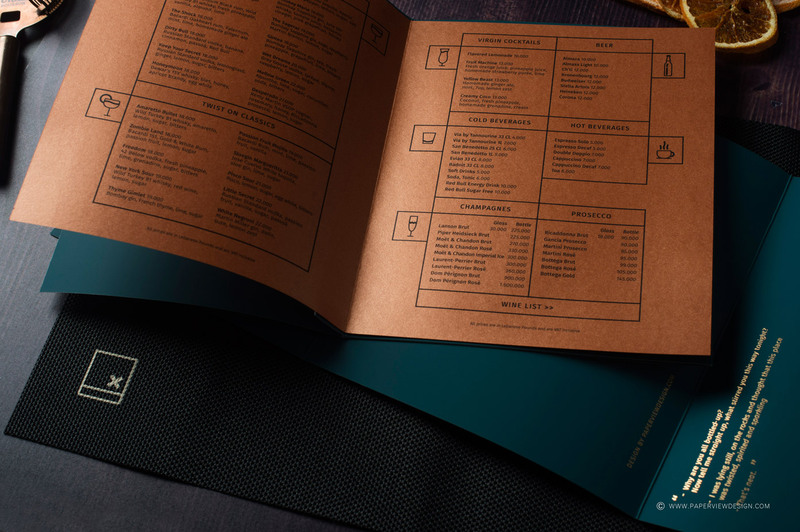 It slowly unfolds through the guests’ interaction with different brand elements. The bar uses symbols of different origins in a midcentury modern style. 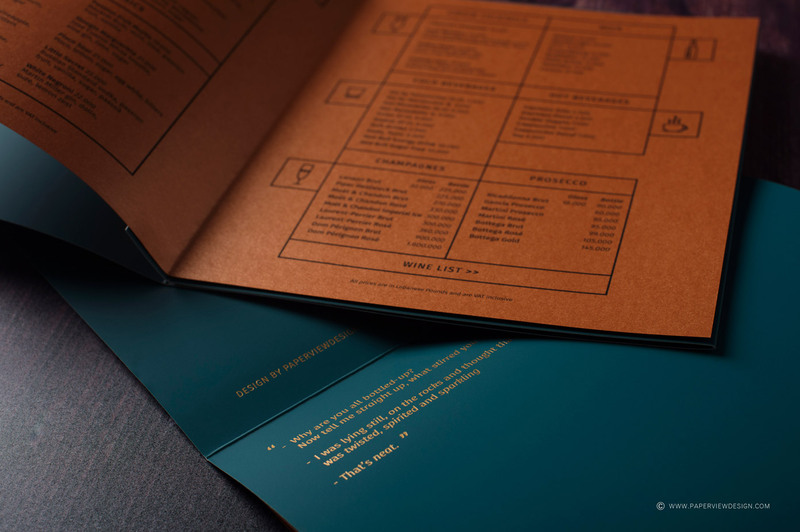 The dark background and foil details convey a modern and sophisticated look. 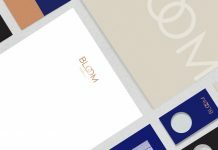 Close up of the stationery system. 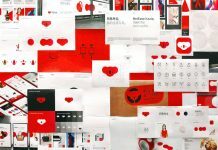 The result is a brand identity with a new approach. 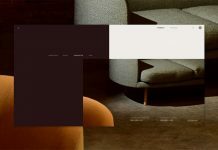 It has been achieved through new materials and intriguing visuals. See more below or have a look at PaperViews website. 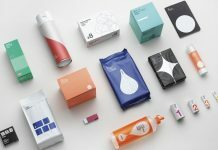 The branding materials convey a sophisticated look and feel. 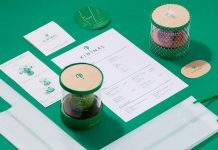 The identity is based on different symbols and design elements. All images © by studio PaperView. 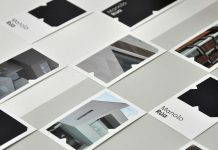 Do not hesitate to find other inspiring projects in our Graphic Design and Branding categories.